Commander Barry Bingham had only taken charge of his ship, HMS Nestor, a month before the Battle of Jutland. Despite this, his cool, determined leadership under heavy fire during the battle earned him the Victoria Cross. The Hon. Edward Barry Stewart Bingham, the son of Lord Clanmorris, was born at Bangor Castle in County Down, Ireland in 1881. He joined the Royal Navy in 1895, trained at Dartmouth and was commissioned - as a midshipman - in 1897. 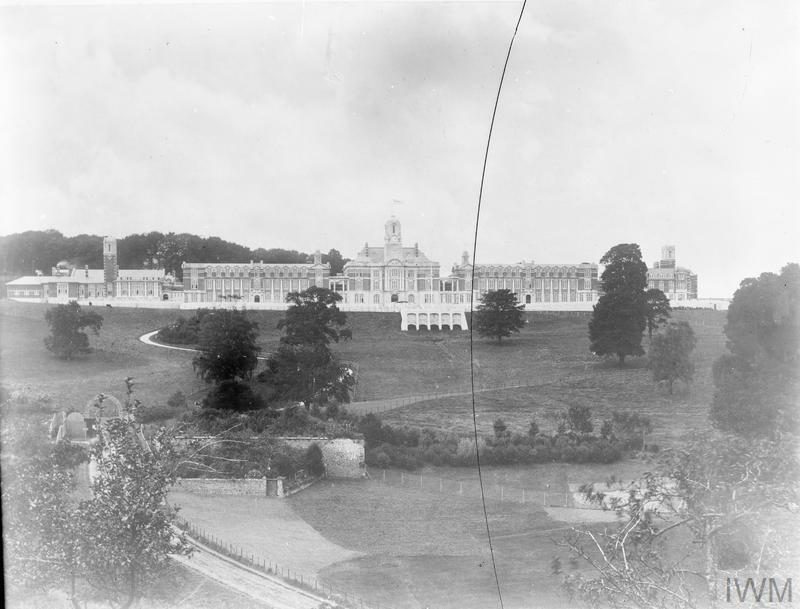 The Royal Naval College, Dartmouth, where Bingham trained, photographed in 1910. Bingham became sub lieutenant in 1901 and lieutenant in 1903. 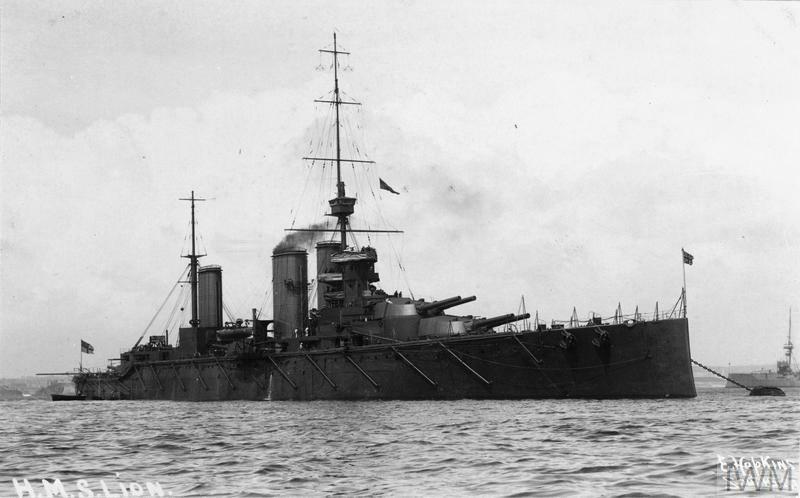 At the outbreak of war in 1914, he was a lieutenant commander and joined HMS Invincible. That year, he saw action first at the Battle of Heligoland Bight and then at the Falkland Islands, where he distinguished himself enough to earn a promotion. As commander of gun turret 'A', Bingham was responsible for some of the accurate and devastating firing that led to the Scharnhorst sinking during that battle, a British victory. HMS INVINCIBLE at the battle of the Falkland Islands, 1914. Picture taken from HMS CARNARVON. In early 1915, he took command of the destroyer Hornet. For the next year, the Hornet carried out regular patrols of the area around the Firth of Forth, looking for any sign of the enemy and checking all vessels it encountered. For the most part the work was routine and uneventful. Carried out at night and in all weathers, Bingham found it 'tedious and exhausting'. There were occasional moments of danger and excitement during this time, however. For example, in October 1915, Bingham earned great praise for his skilful rescuing of the crew of a stranded armoured cruiser, HMS Argyll. It had run aground on Bell Rock, off Forfarshire, and Bingham took a calculated risk in manoeuvring alongside the stricken ship to take on 500 of its men - which he described as 'anxious work'. 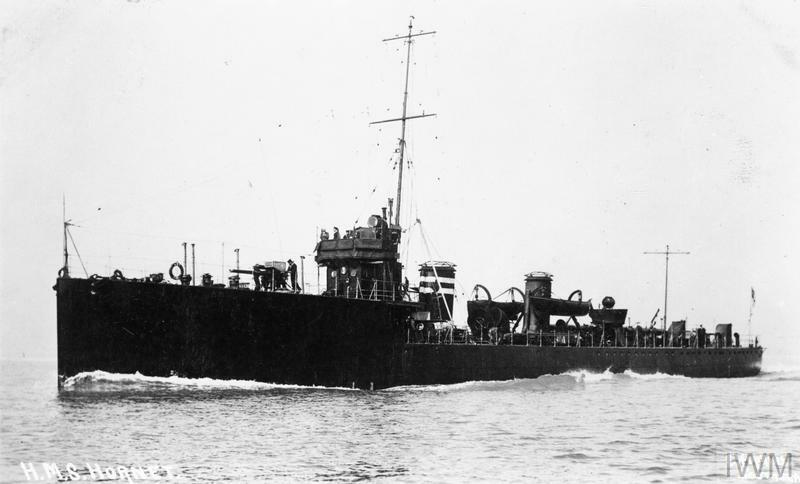 HMS Hornet, the Acheron-class destroyer Bingham took command of in early 1915. On 30 April 1916, he took command of HMS Nestor, bringing most of the crew of the Hornet with him. Bingham and his men spent May familiarising themselves with their new ship and carrying out various exercises, including torpedo firing and battle practice with the 13th Flotilla - all of which was invaluable for the coming events at Jutland. During the Battle of Jutland, Bingham had command of three destroyers of the 2nd Division, 13th Flotilla. As well as his flagship, this included Nomadand Nicator. Along with the rest of the Grand Fleet, they were ordered to put to sea late on 30 May 1916. The clash between Vice Admiral Sir David Beatty's and Vice Admiral Franz Hipper's battlecruisers was already underway when Bingham's destroyers joined the action in the late afternoon of 31 May. Beatty’s ships were under pressure from accurate German fire and he ordered the 13th Flotilla into the attack. Bingham’s division led this charge and immediately came into contact with a flotilla of German destroyers that had arrived in support of Hipper's ships. At around 4pm during the opening phase of the Battle of Jutland, British battlecruisers can be seen on the horizon as they open fire and German shells burst along the line of ships. The light cruiser HMS Champion and the 13th Destroyer Flotilla (including Bingham’s ship HMS Nestor) are taking stations ahead of the British battlecruisers. 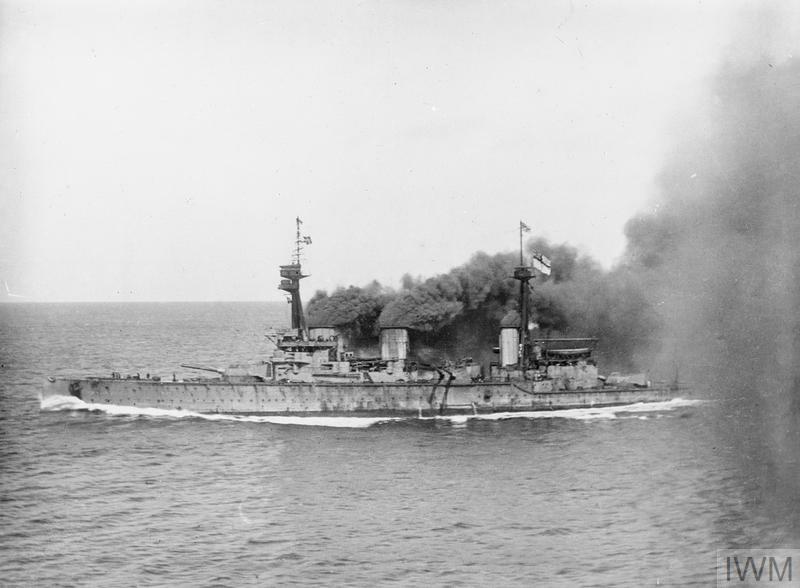 As they closed on the Germans, the British destroyers came under heavy fire. Most of the shells missed, but at around 4.45pm Nomad was badly hit. Nestor and Nicator forged ahead and engaged the enemy. In the ensuing action, two enemy destroyers were sunk. The Germans then disengaged and turned away. Bingham pursued them to press his attack, all the while under heavy fire, as they headed for the German battlecruisers. As they did so, Nestor fired two of its torpedoes at the German line. Followed up by Nicator, Nestor drew nearer to the enemy, ignoring the shells splashing all around as the Germans defended their line. Eager to fire his third torpedo with as much accuracy as possible, Bingham closed to within 3,000 yards of the enemy battlecruisers. Despite taking this bold risk, the torpedo missed and Nestor sustained serious damage as it turned back. At around 5.30 pm, after taking hits in two of the ship’s boilers, Nestor came to a stop as the crew desperately tried to repair the destruction. British destroyer Petard slowed and offered to help, but Bingham declined this, to avoid putting both ships in danger. Whilst at a standstill, Nestor managed to fight off an approaching enemy destroyer, despite the ship’s badly damaged state, its guns still worked. The main body of the High Seas Fleet soon came uncomfortably near to a 'dumbfounded' Bingham’s stricken ship. As the inevitable approached, Bingham destroyed all confidential paperwork and kept his men in busy preparation for leaving the ship. He knew there was no chance of saving it now, but fought to the last anyway, firing his final torpedo at the approaching enemy. The Germans subjected Nestor to an intense barrage and Bingham gave his crew their final order. He described this moment in his memoir, 'It was clear that the doomed Nestorwas sinking rapidly and at that moment I gave my last order as her commander, "Abandon ship".' The crew got away in small boats and, as their ship sank beneath the waves, Bingham later remembered that they gave 'three rousing cheers and sang God Save The King.' The survivors were picked up by a German destroyer and Bingham was held as a prisoner for the rest of the war. His VC was announced in September 1916, whilst he was in captivity. After being rescued from the sea, Bingham was taken to Wilhelmshaven and then Mainz, where he was able to get word to Britain that he had survived. He described his term in captivity as 'dispiriting and irksome' but also where 'many cherished friendships were made.' 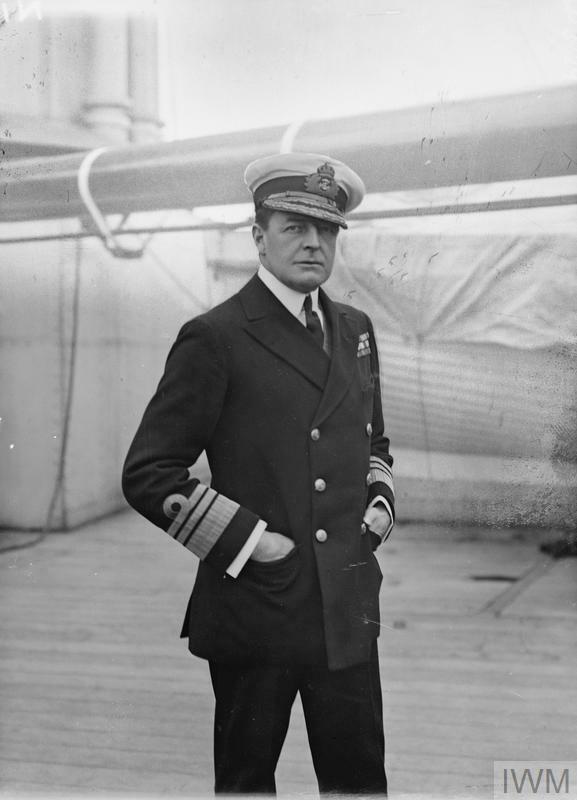 Admiral Sir David Beatty described Bingham’s actions at Jutland as 'one of the most stirring examples of fine leadership seen in the Royal Navy during the war'. It was therefore no wonder that he received a Victoria Cross - the only one from the battle that was not awarded posthumously. He was invested with his VC by King George V at Buckingham Palace in December 1918, and was given a hero's welcome when he returned home to Bangor. Whilst he was a POW, Bingham wrote a short wartime memoir entitled Falklands, Jutland and the Bight, which was published in 1919. Admiral Sir David Beatty poses for journalists on board a ship. Note the trademark tilt of his cap. Bingham remained in the Navy until 1932, retiring as a rear-admiral. His post-war career included command of the battleship HMS Resolution and serving as Naval ADC to King George V. After his retirement, Bingham lived in Dorset. He died in London in 1939 and was survived by a son and a daughter. Bingham’s Victoria Cross is held by North Down Museum, which is situated at Bangor Castle – the place of his birth.